Sometimes it’s easy to be fooled by the events of the past. Just because something has turned out well for you more than once in years gone by, it doesn’t always mean that you can rely on things turning out just as well in the future. It’s easy to become over-confident, arrogant even, always assuming that you can trot out the same old same old and get away with it. 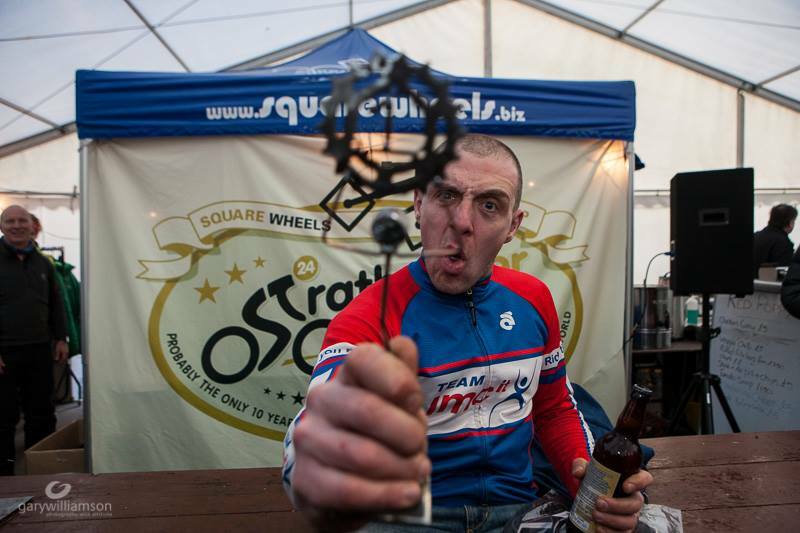 What I’m trying to say is that I made a pig’s ear at the Strathpuffer. But it could have been worse. Riding a 24 hour solo race on a singlespeed might sound pretty stupid, but it’s not when you consider that I’d won this particular race twice on this very same bike so it would be sensible to assume that it must be the right tool for the job, yes? No. Things started ok, I put in some decent lap times in spite of the icy conditions. The past couple of years have been a bit icy, but nothing like the widespread snow and ice of this time so I was using spiked ice tyres front and rear to allow me to maintain traction while climbing out of the saddle. My second lap was the fastest lap of any singlespeeder in the race, which illustrates how well things were going early on. I was concerned about a lower back niggle that I’d been carrying for a few weeks (probably caused by singlespeed hill reps during training) but I reckoned that it’d be ok as long as I maintained good form on the bike, kept my back straight and didn’t start to “scrunch up”. 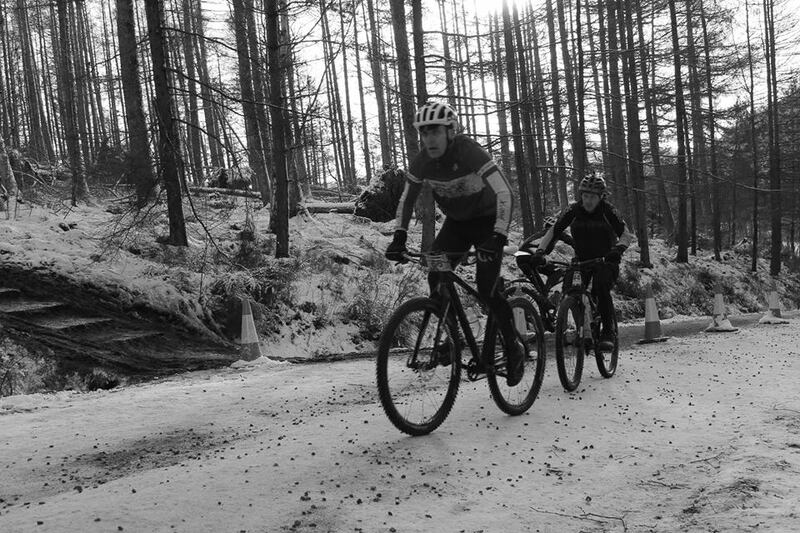 The icy course was nice and smooth and fast and I had plenty of the all-important momentum to get me to the top of the short-but-steep climbs in the second half of the lap. I finally caught up with Keith Forsyth around the 8 hours mark who at that point was in the lead. I didn’t want to pass him just yet so tailed him for a lap or so before I made my move. I now had a grand plan to quickly eat some hot food and then consolidate my lead and create a gap. Unfortunately for me, around this time the temperature appeared to rise just enough to make the icy course softer and quite slushy in places. I was immediately having to properly put maximum effort into keeping moving and momentum was suddenly in short supply. My lead lasted all of a lap-and-a-half as Keith came tearing past and rode off into the distance and I grimaced, grunted and made a meal of things. A rear tyre swap alleviated things a little bit, but what I really needed was a set of gears. Still struggling to stay on top of my gear and maintain a comfortable cadence, my back started to give out. I progressively got slower. A few hours of trying to muscle a singlespeed around the now quite muddy and ‘heavy’ course followed. By the 16 hour point I was pretty broken and was ready to chuck in the towel, when Deb (just doing her job) gave me a right bollocking. She knew a result was still possible as long as I stopped moaning about how much pain I was in and kept moving. I rode off with a flea in my ear but deep down I knew she was right. I kept going and put in some really slow lap times – by now the pain in my back was preventing me from riding up anything remotely steep and I wasn’t too hot at descending either. With 3 hours to go, just at the point where I was as in as much pain as I can remember, I started to believe that the singlespeed category win was in the bag and perhaps I could hang on to an overall podium place. I was still in second overall in spite of the fiasco of the past 9 hours but I knew Guy was catching up. When he did we had a brief chat and he rode into second place as I pushed my stupid bike up another hill. By now the ice and slush had all but disappeared, but I had almost nothing left. Somehow I’d done enough (in spite of my over-confident and somewhat foolhardy bike choice) to secure 3rd place on the solo podium behind Guy in second and Keith in first – both of them riding brilliantly and consistently throughout the race – and I also took the singlespeed category win for the 4th time, which was nice. Will I be back (with gears) next year? What do you think? 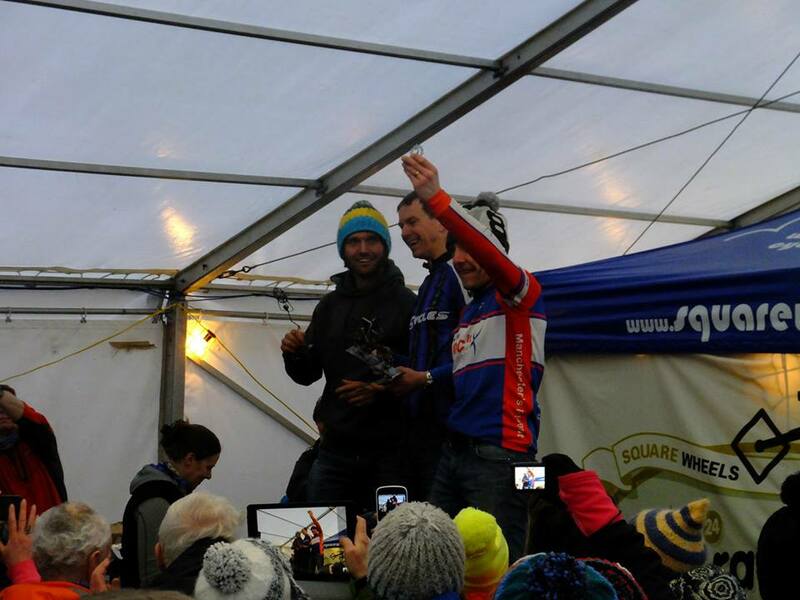 Well done Jason, 3rd overall and 1st SS is an awesome result! What set up did you use and did the changing conditions make this the wrong set up? It must be so difficult to get it sweet for all conditions. Do you hold spare wheels with different size cogs? When you’ve won before there’s not much point going back unless you win… I kind of get that and feel for you, but I wouldn’t out the jour sans down to your errors… Injuries are still just pretty bad luck Jase. Only go back if you can promise yourself to not be bothered if you finish 50th… just keep doing your best with the hand you’re dealt and it slots into place …!